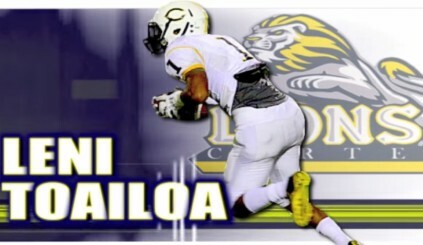 ILB Lokeni Toailoa — Package Deal in the Works? Oregon is now one step closer to landing the top ILB prospect in the nation. He is Lokeni Toailoa and he just recently announced his top seven schools, which include Notre Dame, Oklahoma, UCLA, USC, Utah, Washington, and of course of our Oregon Ducks. 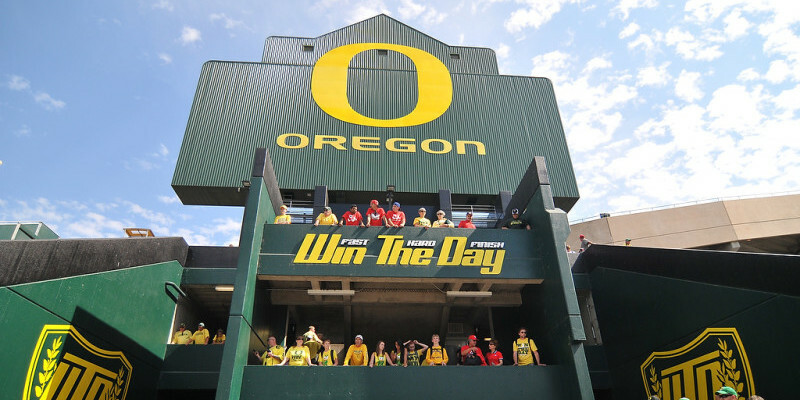 This would be a huge move for Oregon, putting them in great position to continue the never ending process of reloading and retooling for each season. Lokeni is a difference maker at ILB. Oregon would appear to have a little bit of an edge because of being willing to also look at Lokeni’s brother Leni Toailoa, who is an unrated athlete and has only been given an offer by San Jose State. Lokeni himself acknowledged that he thinks highly of Oregon, and that he greatly wants to play college ball with his brother. Leni could be a good college player in his own right. While Leni isn’t the greatest player on the planet, it’s not like he would be dead weight on the roster should Oregon bring in him. He played well as a strong safety in high school, routinely making good decisions and having a nose for the football. 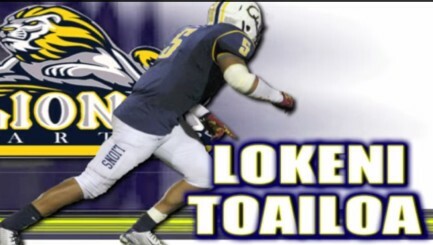 He definitely has some of the athletic ability of his brother, and despite not being the great player that Lokeni is, he could be a good college player in his own right. If Oregon could manage to get Lokeni to commit to Oregon on March 23rd (his self-set date for his decision) it would go a long way toward giving Oregon much needed depth at linebacker. But Lokeni wouldn’t just be a depth guy, he is the kind of of prospect who can come in and make a difference immediately. As any Oregon fan knows from last year, having a freshman who can come in and step up immediately is very important, because you never know when one of your stars is going to get injured and miss an important game. If Oregon can manage to get the Toailoa brothers to commit to play their college ball in Eugene it would be a huge win, giving the Ducks both a potential star ILB and an under-the-radar SS and two all around athletes.